The concept of a musical ‘super group’ may be tired. Most of the time when bands are made up of prominent members of other bands, in some way or another ego gets in the way of the full potential of the project. 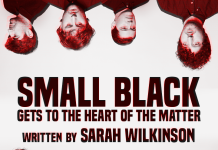 Tensions may build, songwriting styles may clash – sometimes there is just a simple lack of chemistry between the ‘super’ performers that hinders the development of a truly great band. But for every Velvet Revolver, there is The Postal Service. Continuing in that latter convention — the one that says some super groups are still interested in creativity, exploration of ideas, and, above all, producing exceptional music — look out for the Valley’s own Slow Attack. 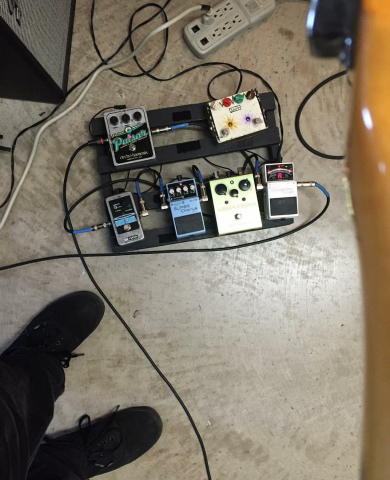 This pedal board serves as a teaser of what you can expect from Slow Attack. Check out their energetic, adventurous sound live this weekend! Further, Rob is quick to attribute Slow Attack’s rhythm section as being one of their main strengths. “Eric and Manny create a tight foundation for me and Andres to paint over,” he says. “We’re tight without sounding robotic or repetitive.” It’s a kind of ‘determined recklessness’ that factors into the band’s fresh and unique sound. 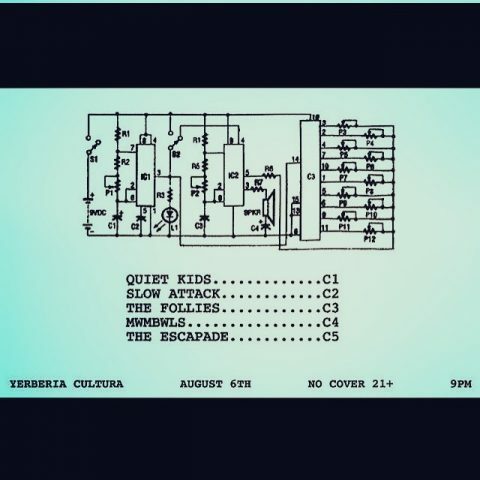 Check out Slow Attack this Saturday, August 6th at Yerberia Cultura. Clarification 8/7/16: The bands listed as credits for the members of Slow Attack are meant as a reference for past work (in the last 5 years), and may not necessarily reflect current projects.